Hiking, Canoeing, Fishing & Relaxing! 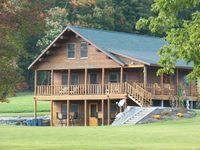 Property 1: Hiking, Canoeing, Fishing & Relaxing! 3BR FACTORY LOFT AT THE MOHAWK ANTIQUES MALL/RIGHT OFF EXIT 30 NYS THRUWAY! Property 6: 3BR FACTORY LOFT AT THE MOHAWK ANTIQUES MALL/RIGHT OFF EXIT 30 NYS THRUWAY! Brand New Cabin, Slide out Bed, includes canoe and fishing poles. Property 18: Brand New Cabin, Slide out Bed, includes canoe and fishing poles. 1BR FACTORY APT AT THE MOHAWK ANTIQUES MALL/RIGHT OFF EXIT 30 NYS THRUWAY! Property 26: 1BR FACTORY APT AT THE MOHAWK ANTIQUES MALL/RIGHT OFF EXIT 30 NYS THRUWAY! 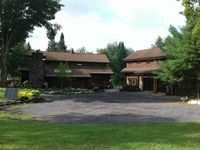 Property 29: Adirondack dream home! Amazing property!!! Just stayed there with a group of friends for an extended weekend. Both houses were very clean and spacious. Steve was an excellent host and Porkchop is the sweetest dog. A few other four legged friends stopped by during the weekend as well. If you want space, privacy, nature, etc. then this is the place to rent. When we first drove onto the property we were stunned! The home looked beautiful and the surrounding property was huge and very inviting. The interior was exactly as stated and then some. The attention to detail was perfect. There so many games and toys, not to mention the paddle boat and kayaks. The fishing was great and the catch and release system helps keep the lake beautiful. We all had a blast and would love to go back. It's a property that is well worth the visit. Maureen stopped by to make sure everything was okay. She was very gracious and welcoming.